I looked out of the window to see a new snowfall had come overnight from that second Beast from the East, the clouds had cleared, and the sun was just rising – perfect conditions for photos! I knew the children would still be off school, and I had about an hour until my husband would be leaving to try and get to work. 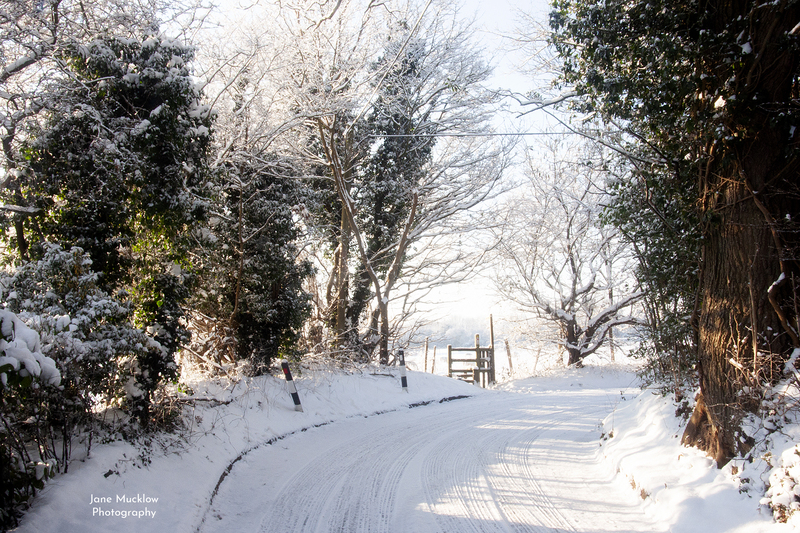 So I threw on my thermals and lots more layers, grabbed my cameras and off I went. Whenever there is snow like this, I can’t get anywhere by car. But fortunately just around the corner from my house, are some fields that face towards the sunrise, so that’s where I headed. Getting more excited on the way as I saw how the sunrise colour was lighting up the sky and the snow, and there was mist in the river valley too. My favourite picture of the day was one of the first ones, taken right here, from the road, before I even got into the field to see the sunrise. 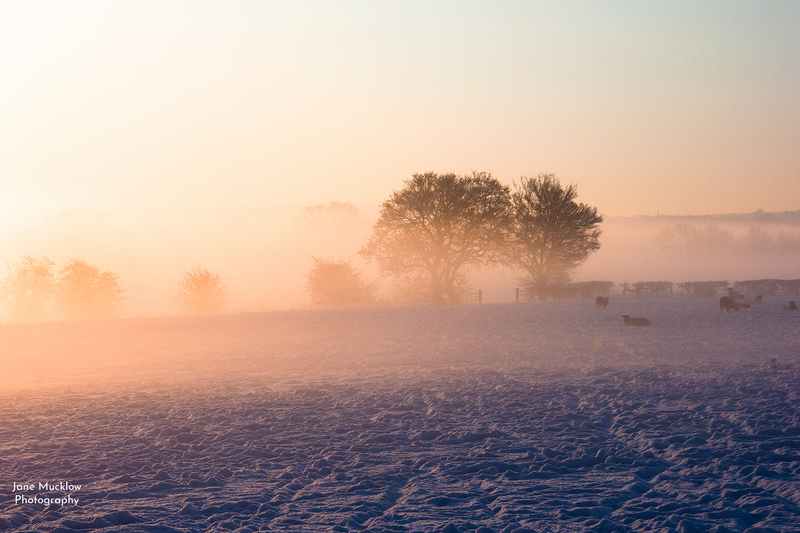 I love how the snowy style and trees are backlit by the sun, the snowy branches stretching over the style and framing the glimpse of the misty field beyond. I have a big canvas of this at home now, and it looks brilliant on my wall! I must confess that it is also one of my favourites as it has been really popular as a print and framed print with customers over the last year too! Click on the photo to see purchase options so you can enjoy it too. 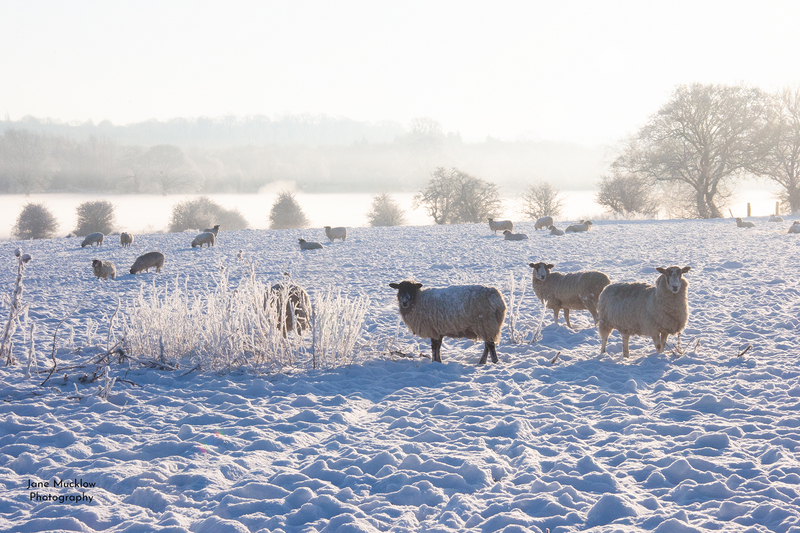 The mist was beautifully lit up by the rising sun, there was loads of snow, and there were sheep in the field enjoying it too! This patch of snow-covered grass or weeds caught my eye. Can you see the sheep in the mist watching me?! This next one is looking more into the brightening sun, see how the sunrise colour has gone now? Sadly it was time to get back home too! So there we go, what an amazing morning! I am so grateful that I got to see it, and to capture it on my camera so that I and others can continue to enjoy it. It’s always hard photographing the snow as it is so white, but cameras do not like to see it that way! 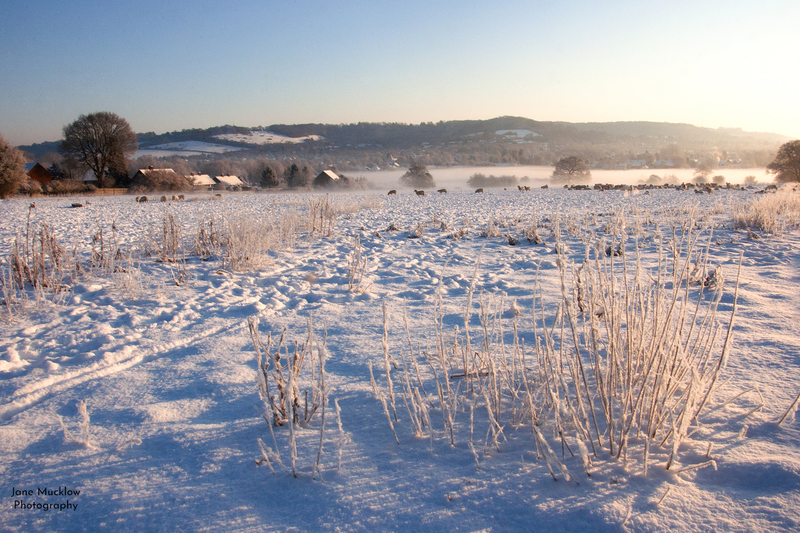 Hopefully I have caught the beauty, stillness, and sunrise colours, along with the mist and snow – and cold! I hope you enjoyed scrolling through a few of my photos from that particular morning. Which one is your favourite? Comment below or on my facebook page and let me know. Any of these photographs are available as prints, framed prints, canvas prints for your wall, or in a square version on my greetings cards. 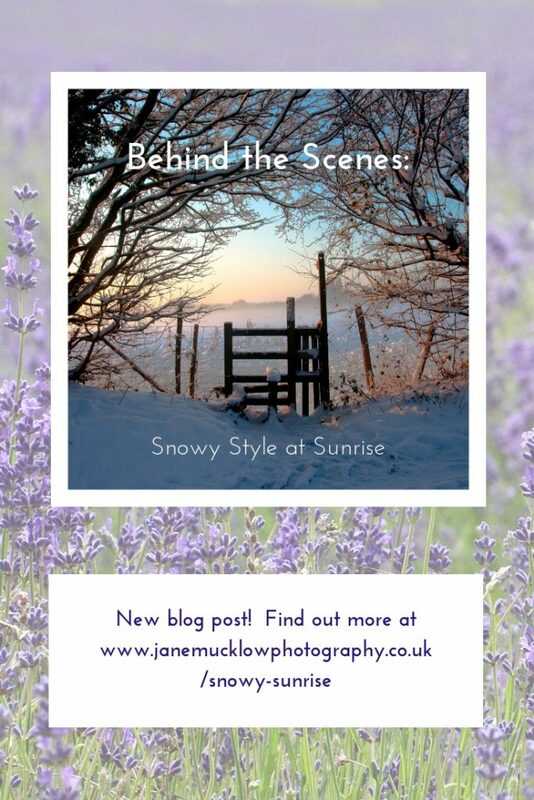 Click on the first Snowy Style photo and it will take you to it’s entry in the Gallery/Shop, and just let me know if you’d like any of the others.